Updated 4:20 p.m. | Posted 12:53 p.m.
Archbishop John Nienstedt, who stepped down in June as head of the Archdiocese of St. Paul and Minneapolis, has taken on a temporary pastoral role at a church in Battle Creek, Mich.
Nienstedt resigned the Twin Cities post after Ramsey County prosecutors charged the archdiocese with failing to protect children from a predatory priest. The charge followed two years of revelations about the failure of the archdiocese to protect children from sexual abuse at the hands of clergy. 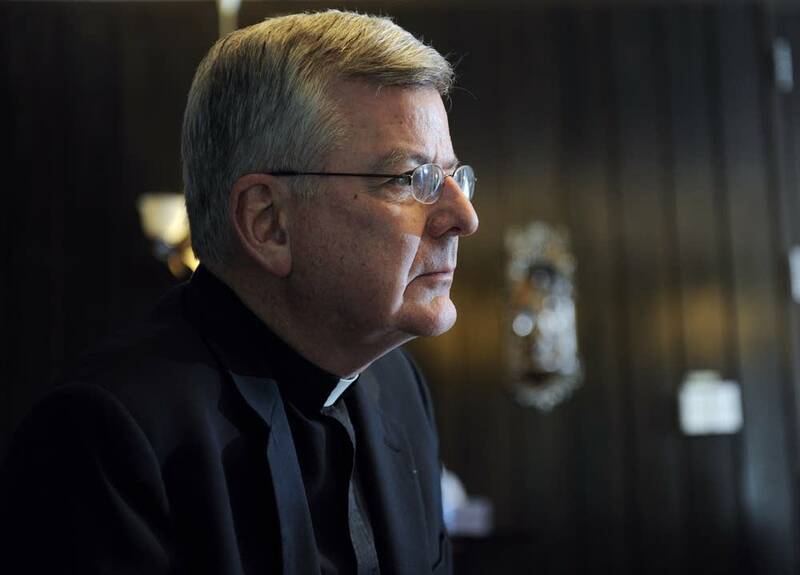 Nienstedt, who served eight years as Twin Cities archbishop, admitted no mistakes in his resignation letter. David Clohessy, director of the Survivors Network of those Abused by Priests, or SNAP, said Nienstedt should've been defrocked, not reassigned. "This move sends precisely the wrong message to Catholic employees," he said. "The message it sends is, no matter how severe your wrongdoing is, you'll always have a job in the Catholic Church." According to the bulletin at the St. Philip Catholic Church (.pdf), Nienstedt will fill in for the head priest, who is undergoing medical treatment, over the next six months. Nienstedt will perform some weekend and weekday masses, visit the sick and celebrate mass for nursing home and assisted living facilities. He'll also fill in for other priests in the diocese when needed. Nienstedt could not immediately be reached for comment. The Diocese of Kalamazoo said in a statement that Neinstedt was a priest in good standing and was welcome at the St. Philip Parish.